Make More Happy is a collection of knit products for women. The collection includes the perfect fall/winter accessories; earwarmers, toques, cowls + scarves. Our designs range from fitted, loose-fit to oversized to fit your style. We use 100% Merino wool for its durability and softness (and non-itchyness!) to keep you warm + cozy all season. All pieces are designed and handknit in Vancouver, BC. Make More Happy was born out of the desire to be better. Live better. I was in a grey area where my work and personal lives had blurred together and something needed to bring the sunshine back. I never would’ve guessed it’d be a pile of string and a crochet hook. On the path towards a sunnier tomorrow, I adopted a dog. One day, I decided she needed a flower for her collar and made it my mission to create it for her myself. I bought the tools, did the research, and taught myself to figure out yarn and hook sizes, read patterns, learn new stitches and work in the round. In one very blurry week, I crocheted a big ol’ red flower. Never mind that she hated it and it was bigger than her head; it was something that I’d created all by myself. And it saved my life. 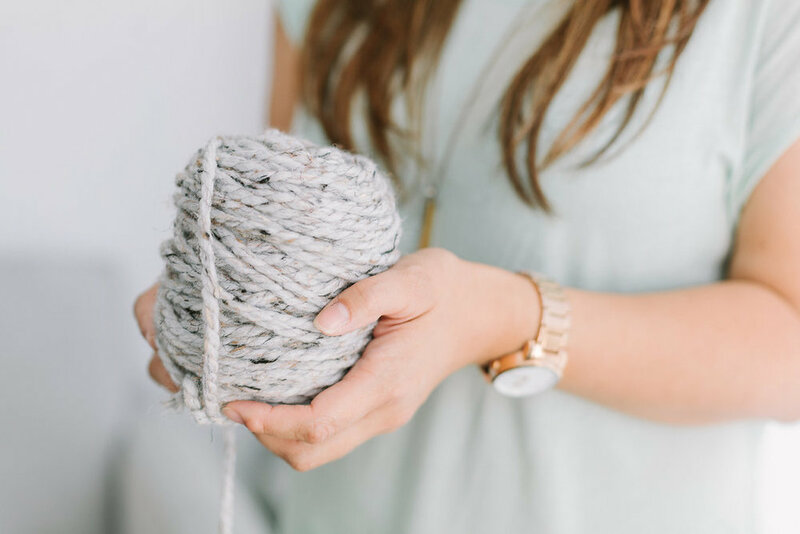 The repetitive rhythm of making knots, loops, and stitches became my daily meditation. Bonus: I created something beautiful to share with others. It was addictive. You know that feeling of fresh-out-of-the-dryer sheets? They’re still slightly warm, smell delicious, and you just want to snuggle in them all day long? 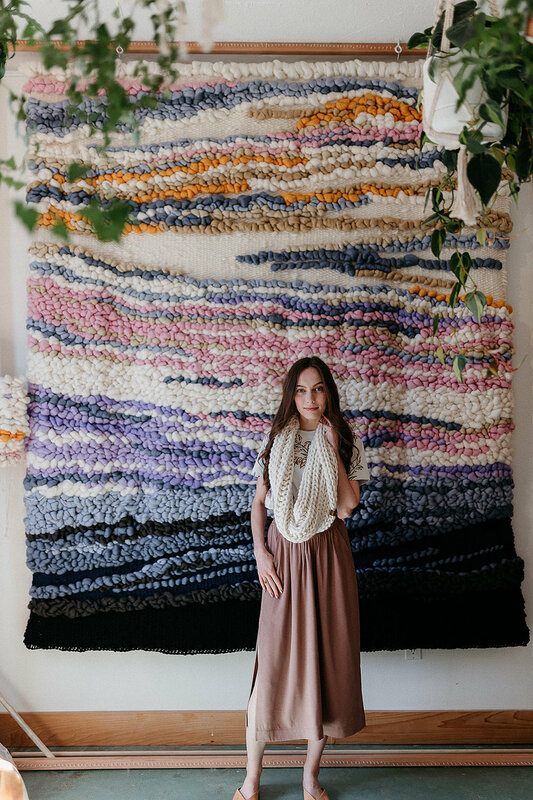 That’s the feeling I aim to spread through crochet; like wrapping yourself in a cozy cowl of happiness. My hope is to continue creating finer things in life without the fuss; classic staples using traditional techniques with a modern edge. And if I can inspire others to give it a try even better. We could all use a little more happy in our lives. It makes for a better community, too. Which is why I take into consideration where everything that goes into every piece I make is from. Crocheting is like grabbing an opportunity and moving forward with every stitch. And every stitch is one step closer to the final piece of art: happiness. Do what makes your heart happy, and do a lot of it.